Contact Misti (Beirne) Perez 512.965.1076 for more information. 1. In a recent survey of 16,000 arborists, it was reported that arborists in the 20-40 age group had a significantly higher income if they were ISA Certified. 2. The ISA Certified Arborist in now required in many municipal, state and federal contracts. 3. Many developers and landscape architects write specifications requiring ISA Certified Arborists. 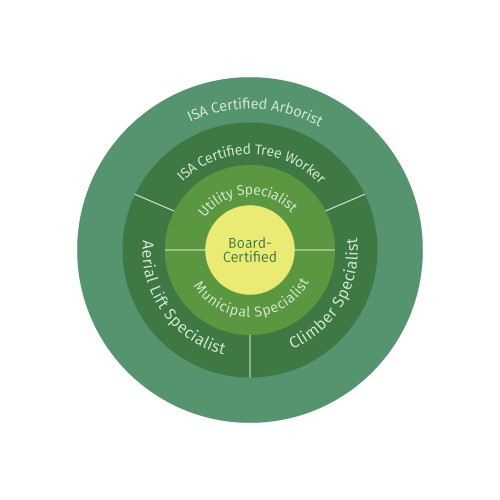 4 Many commercial tree care companies, municipalities and utilities require either a ISA Certified Arborist or ISA Certified Tree Worker credential. 5. ISA educates the general public through an extensive public relations program. The homeowner is beginning to demand ISA Certification for arborists who work on their trees. Testing: Texas ISA Certification Exam Dates are at the top of this page. Here is the ISA Certified Arborist Instructions and Application Form. And Review Classes can be found on the events page and here is the Testing Center information. 7) Be willing to send the original signed CEU sheets to ISA and keep a copy for 4 years. If certificants do not sign their name legibly, their CEU’s will not be counted.